Welcome to my genealogy website Ancestors At Rest. This Genealogy site is designed to help genealogists find the free death records of their ancestors, and as morbid as it may sound, to learn a little about the customs, traditions and culture of death in the past. On this page you will find many searchable indexes to free Death Record databases. These searchable indexes to Coffin Plates, Funeral Cards, Cemetery Records, Cenotaph Records, German Death Cards, Wills, Church Records, Family Bibles, Vital Statistics and more will be a great help in finding your ancestors death records. You will also find links to other genealogy sites that have Death Records and information on where to find Death Records that are not online. 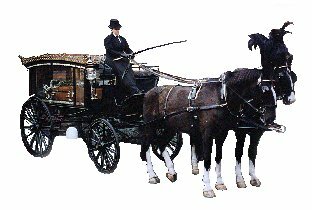 In addition to the death records themselves you will find useful information, articles and tutorials on things like interpreting tombstone inscriptions, finding death records in alternative sources, understanding the strange causes of death on old death certificates and obituaries, and general interest items like funeral customs. If you are not looking for your ancestors death recordsAncestors At Rest also has many other great genealogy databases that are not death record related. On many of my State pages you will find Marriage records, Birth and Baptism Records, Confirmation records, Census Records, Photographs and so much more. I also now offer Genealogy Lookups in some unique and very valuable genealogy databases that can not be found anywhere but here. Hope you find something here of interest. Where can you find the death records of your ancestors? It is important to remember that you can find the death records of your ancestors in many different sources. Start with my Death Records Finder Remember that Coffin Plates are death records, Funeral Cards are death records, family bibles can have death records, tombstone inscriptions are death records, obituaries are death records and of course the vital stats for the State or Province are the best place to start your death records hunt.